Dementia: Dementia typically begins slowly and is gradually noticed over time. If the person who's being evaluated is unknown to you, getting a report of his usual functioning is key. Delirium: Delirium is usually a sudden change in a condition. One day, your loved one is doing fine, and the next, she may be very confused and unable to get dressed. Delirium is also known as acute confusional state, with the key being that it is acute, or sudden. Dementia: The cause of dementia is typically a disease such as Alzheimer's, vascular dementia, lewy body dementia, frontotemporal dementia or a related disorder. Delirium: Delirium is usually triggered by a specific illness, such as a urinary tract infection, pneumonia, dehydration, illicit drug use, or withdrawal from drugs or alcohol. Medications that interact with each other can also cause delirium, so make sure your physician knows all of the medications, supplements, and vitamins you're taking, even if they're natural substances. Delirium: Delirium can last for a couple of days to even a couple of months. Delirium is almost always temporary if the cause is identified and treated. Dementia: People with dementia may have difficulty finding the right words, and the ability to express themselves gradually deteriorates as the disease progresses. Delirium: Delirium may significantly and uncharacteristically impair someone's ability to speak coherently or appropriately. Dementia: A person's level of alertness is typically not affected until the late stages of Alzheimer's, whereas memory is significantly affected throughout the disease. Delirium: In delirium, the opposite is true. Memory functioning is usually less affected in delirium but the ability to focus and maintain attention to something or someone is very poor. Dementia: Dementia tends to not affect a person's activity level until the later stages. Delirium: People with delirium are often either overly active (hyper and restless) or under-active (lethargic and less responsive) compared to usual functioning. Dementia: There are currently a handful of medications approved by the FDA to treat Alzheimer's disease, the most common type of dementia. Those medications don't cure dementia but sometimes can slow the progression of the symptoms, including memory loss, poor judgment, behavioral changes and more. Delirium: Delirium requires immediate treatment by a physician. Since it's usually caused by a physical illness or infection, medications such as antibiotics often resolve the delirium. Distinguishing between delirium or dementia is important; however, a more difficult task may be identifying delirium in someone who already has dementia. According to a study by Fick and Flanagan, approximately 22% of older adults in the community with dementia develop delirium. However, that rate skyrockets to 89% for those who have dementia and are hospitalized. Knowing how to identify delirium in someone who is already confused is critical for appropriate treatment and a faster recovery. 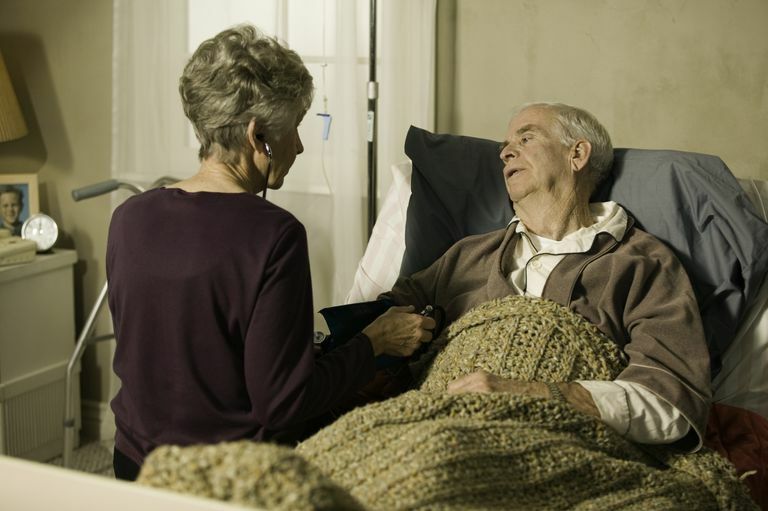 Delirium superimposed on someone with dementia also is connected with a more than double mortality risk compared to those with delirium or dementia alone. Understanding the difference between delirium and dementia can be helpful in identifying if your loved one needs to see the doctor immediately, or if he should be evaluated at an appointment that's scheduled within a few weeks. Be sure to report any signs of delirium, especially a sudden change in functioning or health, to the physician for evaluation and prompt treatment. Alzheimer's Association. Delirium or Dementia - Do you know the difference? Flanagan NM, Fick DM. Delirium Superimposed on Dementia: Assessment and Intervention. Journal of Gerontological Nursing. 2010;36(11):19-23. Journal of Gerontology: Medical Sciences. 2007, Vol. 62A, No. 11, 1306–1309. Delirium Superimposed on Dementia Predicts 12-Month Survival in Elderly Patients Discharged From a Postacute Rehabilitation Facility. Lippmann S, Perugula ML. Delirium or dementia? 2016;13(9-10). ​https://www.ncbi.nlm.nih.gov/pmc/articles/PMC5141598/. How Do Urinary Tract Infections (UTIs) Affect People With Dementia?